Last July, Magaldi Industrie S.r.l. installed a Magaldi Superbelt conveyor in a Spanish Company that transforms prime ferrous scrap obtained from recycling into basic products. 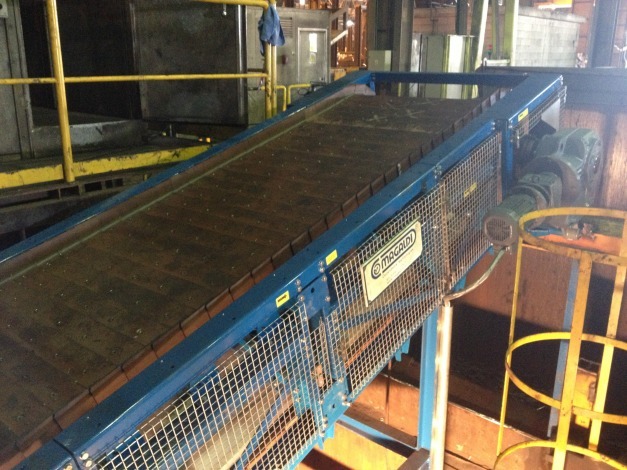 The Magaldi Superbelt conveyor has replaced an existing steel coated conveyor causing a lot of maintenance problems. The conveyor is 25 long and its conveying capacity is 11 tph of hot rolled bars at 400 °C.